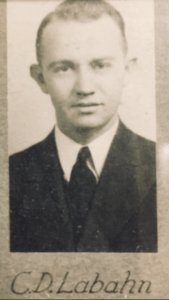 Dr. Charles Labahn, a 1939 graduate of Kansas State University, was stationed at Fort Chaffee during World War II. In 1946 he opened his practice on a gravel road known as Kelley Highway. Practicing out of a Quonset hut, Dr. Labahn treated both large and small animals. That part of Fort Smith at that time was almost rural with small farms and dairies. As the area became more urban, the large animal practice waned and by the 1960’s Labahn Veterinary Hospital had become a dog and cat practice. As the population of Fort Smith grew, the number of patients increased. The bond between pet and owner continued to grow stronger and the medical knowledge of the owner began to increase, this increased the demand for goods and services. The Quonset hut was replaced by a much larger building and additional staff was required. Kelley Highway was paved and since then has been widened twice. During the years Dr. Labahn practiced he had an assistant G.W. ‘Butch’ Plymale. Butch worked at Labahn Veterinary Hospital for almost 50 years and the garden to the west of the building was created in his memory. In 1968 Dr. Labahn hired a high school student to help in the kennel. That kennel boy was Dr. Mike Thames and he later took over the clinic when Dr. Labahn retired until his own retirement in 2015. With further growth of the pet population and the increased demand for advanced services, the practice is now a three veterinarian practice with a technical and clerical support staff. 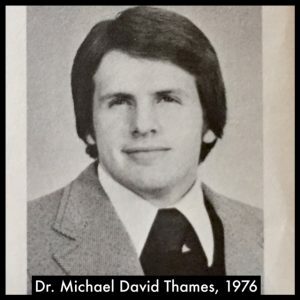 When Dr. Thames retired in 2015, the practice was purchased by Dr. Cheryl Adkins and Dr. Megan Hillard. As in human medicine, veterinary medicine is constantly evolving. This requires us to constantly remodel, update our equipment and continue our education. Labahn Veterinary Hospital is connected with a referral network of specialist to provide complete care. Throughout the history of Labahn Veterinary Hospital, our goal has been to provide quality, compassionate care in a friendly environment.